SKU: N/A Categories: Bags, Homeware, Everything Else Recycled! 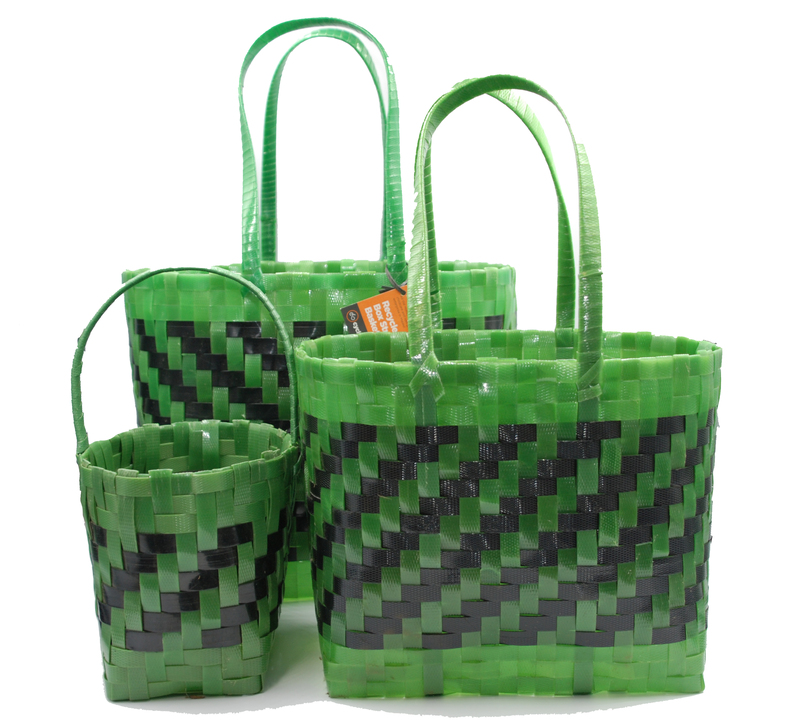 We love these robust shopping baskets! Made from 100% recycled box strapping; you know the stuff, that pesky plastic band that holds cardboard boxes together and normally gets thrown in the bin. Ingenious Malawian craftsmen collect the strapping from local factories and carefully weave it into possibly the strongest basket you could ever buy. Great for the supermarket shop, or just for attractive storage for around the home- they’re fabulous for crafts or knitting, great for toy storage or even use them for your laundry. Wonderful for outdoor use too, these baskets fully washable so you can hose them down after it’s carried your muddy potatoes home from the allotment! All baskets are supplied in green and black, although the shade of green will vary. As this is a fully recycled material, you will notice small blemishes and imperfections, but we think these just add to the charm!